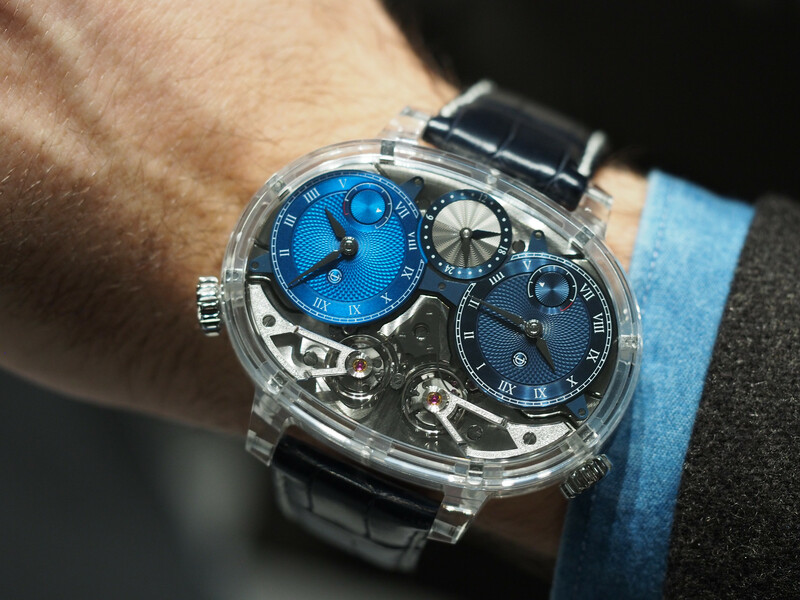 The “Pour le Mérite” collection, first introduced in 1994, consists of four models – including the Richard Lange Tourbillon “Pour le Mérite” which we went hands-on with during its launch in Dresden in 2010 – all of which feature a fusee-and-chain transmission designed to improve rate accuracy through constant torque delivery. The most basic model in the collection simply called the Richard Lange “Pour le Mérite,” displays just the time: hours, minutes, and small seconds. Yet, incredibly, the movement consists of 915 parts. For a time only watch, this is likely a record. Not that companies are striving to use more parts. The primary goal here is, of course, rate accuracy, and the 636 component fusee-and-chain is part of that equation. And while I wish Lange would provide the average rate and amplitude numbers, based on past talks with their technical department, it is safe to say that the results for this timepiece – are exceptional. 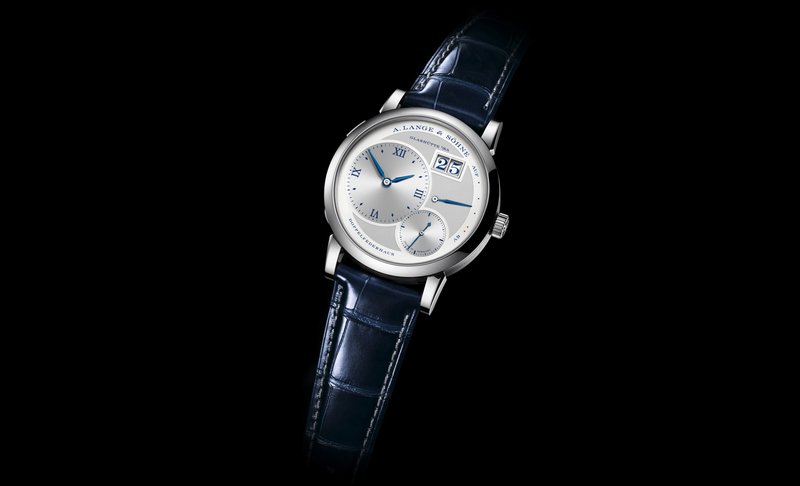 In 2009, Lange originally introduced the Richard Lange “Pour le Mérite” in a platinum case (50 pieces) or pink gold case (200 pieces), both with a white enamel dial. 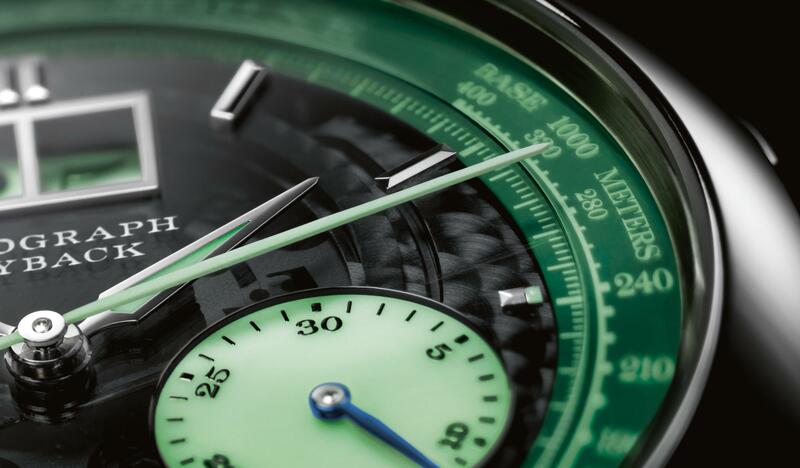 Later this year, a third version, in a white gold case with a black semi-gloss dial, limited edition to 218 pieces, will be available for sale. Everything is identical to the original model, except that now there is a black solid silver dial with white transferred Roman numerals, and small Arabic numeral in red marking 15, 30, 45 and 60 minutes. The lance-shaped hands are now in rhodium-plated white gold as well. And the case, which measures the exact same at 40.5 mm x 10.5 mm, is available in white gold for the first time. Otherwise, the movement (caliber L044.1) – which measures 31.6 mm x 6.0 mm, and features 915 parts, 33 jewels, 2 screwed gold chatons, a 36-hour power reserve, and that beats at 3Hz (21,600 kph) – is also exactly the same. 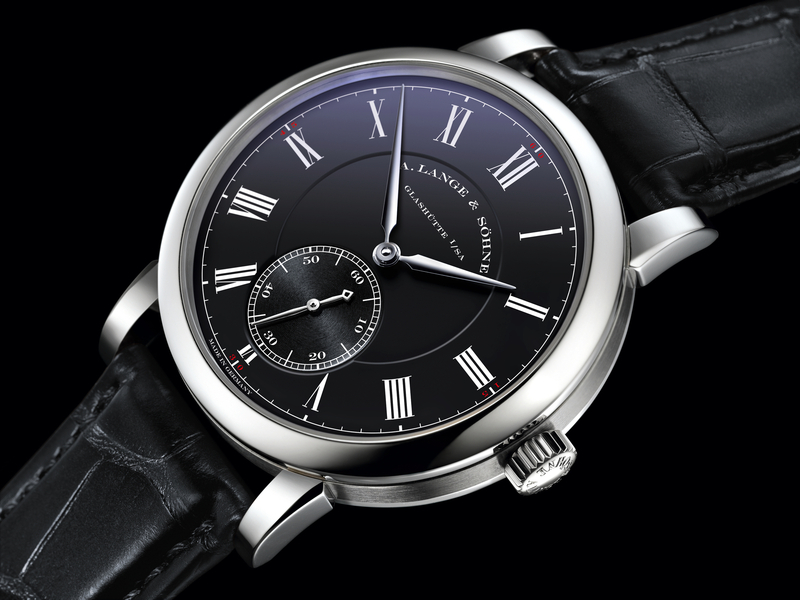 The Richard Lange “Pour le Mérite” is complemented by a hand-stitched black alligator leather strap with white gold buckle. The retail price is $82,500 (quite a bit less than the price of the original rose gold model).